Author(s) Wheater, Howard; Sorooshian, Soroosh; Sharma, K. D.
Arid and semi-arid regions are defined as areas where water is at its most scarce. The hydrological regime in these areas is extreme and highly variable, and they face great pressures to deliver and manage freshwater resources. However, there is no guidance on the decision support tools that are needed to underpin flood and water resource management in arid areas. UNESCO initiated the Global network for Water and Development Information for arid lands (GWADI), and arranged a workshop of the world's leading experts to discuss these issues. 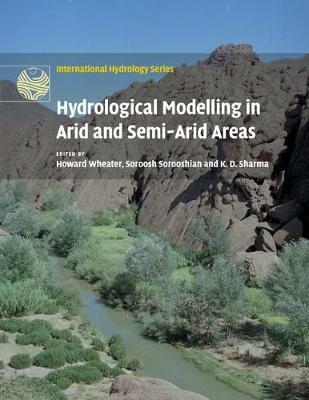 This book presents chapters from contributors to the workshop, and includes case studies from the world's major arid regions to demonstrate model applications, and web links to tutorials and state-of-the-art modelling software. This volume is a valuable reference for researchers and engineers working on the water resources of arid and semi-arid regions.